It seems that Apple has reached a new milestone with the App Store. It now has more than 40,000 applications available to download all in 10 months. 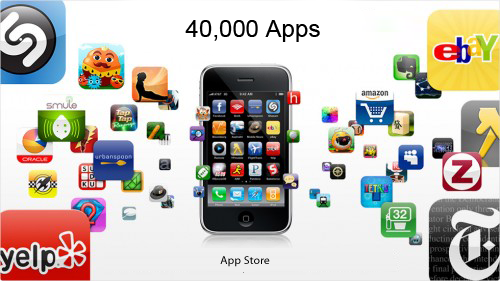 There is no official news yet, but AppShopper found 43,154 applications of which 40,253 are currently available in the American Store, AppTism instead found 41.611 which we certainly reached and exceeded the 40,000.